Today, I am bringing you yet another review. This one comes to you courtesy of Sneakz Organic, a fabulous company located here in the beautiful Sunshine State, whose PR company reached out to me and offered the kids and I the chance to give their products a try. And try them we did. I’m delighted to bring you this review, and we had a lot of fun testing out the different flavors and snapping pictures. There are so many different things I love about being a blogger that it would be extremely difficult to narrow it down to just a few, but I am going to do my best and give it a shot. I am also going to focus on what exactly I love about being a mom blogger, not just a blogger in general. A topic of discussion that I’ve been meaning to speak upon lately and just haven’t had the time is how difficult it can be to be a parent. While parenting is incredibly rewarding most days, there are those days where we fall short of incredible as moms and dads, and we falter a bit – at least, I do – and I’m not afraid to admit that. And I think that’s okay. Parenting isn’t easy. Today I bring you a review for one of the toys we got Richi for Christmas – My Pal Scout by Leap Frog. This has to be my most favorite item we bought him – and as it so happens, we got it on sale at Target to boot! A $14 very well spent. Normally, this toy retails for $20+ but we got lucky. Now, I have always been a fan of Leap Frog toys since my two older boys were little and they had the Leap Frog learning tablets. Ever since then, 12 and 13 years ago, I have been a big believer in learning toys and gadgets – and especially those from the Leap Frog brand. Let me tell you about this sweet little pup named Scout. It’s been a couple of weeks since my last post. I have been so incredibly busy with the kids, Christmas, and everything else in life that I had to take that time out to focus on life – plus I had some major healing from surgery to do. With that being said, I’m back and I’m ready to begin posting again just as often as I was before. Christmas was amazing and the kids had a great time. They got a lot of great gifts – but even more so, we got to spend family time and that was worth more than any gift anybody could have gotten. 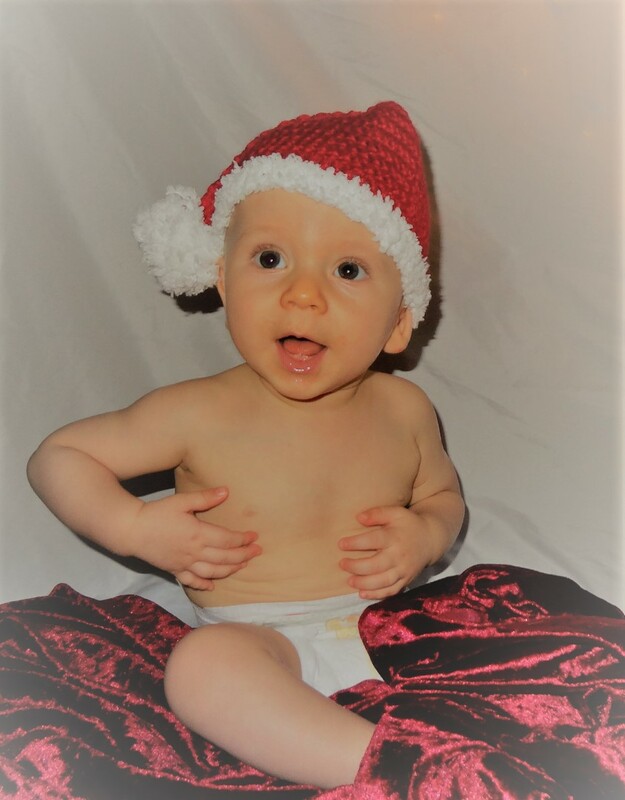 The baby got to open his first Christmas presents – but truth be told, I think he enjoyed the wrapping paper pieces more than anything else, as most babies do. In all honesty, we had to open the majority of his presents for him. It was a lot of fun though. I know I have spoken about my favorite app, Calm, before in another post on here. But I wants to give you a direct link to the app here so that you can join and use it free for yourself! Everything is free and you don’t need to join a premium plan to be able to use it. If you could use more peace and calm in your life, now is the time to take 2 seconds out of your busy day and do yourself a favor. This meditation app has helped me manage my anxiety and panic attacks medicine free and help n overcome my fear of driving over bridges. I just want to help as many people as possible. Announcement: Brand Representation for Artfully Feathered! I just wanted to drop by and share some exciting news with all of you: I am officially the brand representative for Artfully Feathered, a shop owned and operated by Los Angeles-based artist Catherine Holcombe. Her work is absolutely stellar and her creations are out of this world. I look forward to sharing some of her artwork via home decor in the coming week and months! This video completely blew my mind. As the mother of 4 school aged children, 2 in High School and 2 in Middle School, I am terrified by what I have seen here. More parents need to be more aware, as well as our children need to keep their eyes open wide at all times. It’s such a sad world we live in. I truly believe that schools need to have accountability when it comes to a zero tolerance policy for bullying, which may help to prevent this type of a tragedy from ever happening. Please watch and share with all of your friends and family. Over this past weekend, something extremely scary happened. I am usually very careful about removing tags from all of Baby Richi’s toys and blankets. I check everything for rips, tears, and wear. I pluck strings from items he plays with that shouldn’t be hanging out or that could in any way cause him harm. I toss items I feel are no longer safe, even if they are his favorite things. Those ‘things’ are replaceable. So, when this particular incident happened, I felt especially terrified – because it was something I missed.